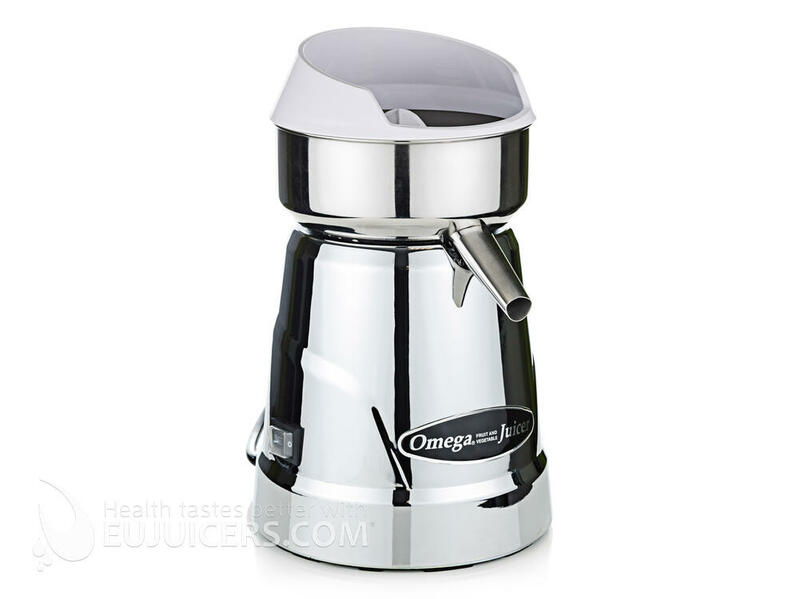 The Omega Commercial Citrus Juicer C-22 is a heavy-duty citrus press from the well-known American manufacturer. 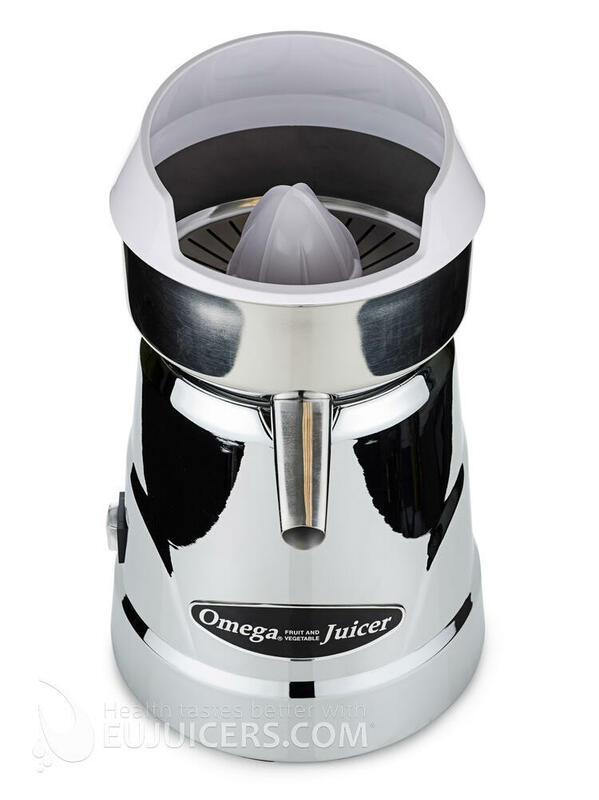 The Omega C-22 uses a powerful 1800 RPM motor and produces great quality orange juice. It's very popular as a home citrus press as well as for people who wish to have fresh juice every day without compromises. 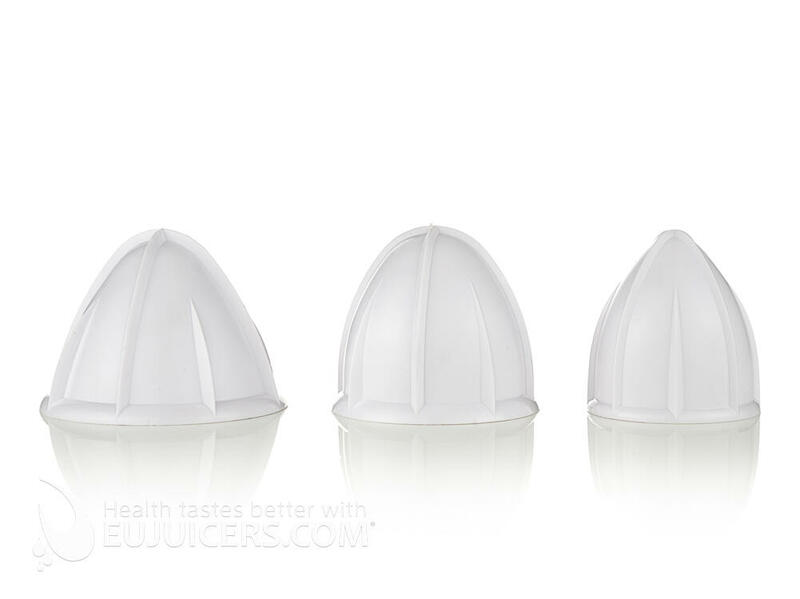 The Omega Citrus Press offers three different sizes of juicing cones which means it is able to process all sizes of citrus - from the smallest limes to the biggest grapefruits. 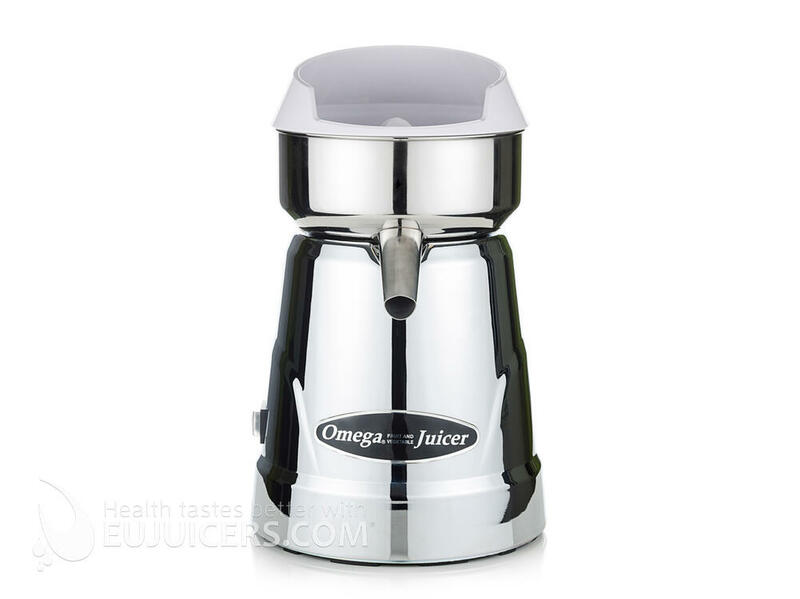 The Commercial Citrus Juicer allows you to create high quality and nutritious citrus juices. It can make more than 30 liters of fresh juice per hour, making it suitable as well for most of bars and restaurants. The manual feeding results in more juice extracted per fruit compared with automatic citrus presses. The Omega Commercial Citrus Juicer's one-speed operation makes it one of the most user-friendly juicers on the market. Simply flip the switch for maximum juice extraction with minimal effort. Made from commercial-grade materials, the C-22 is super efficient and simple to assemble and dissemble. Omega guarantees that it can be operated continuously, making it suitable for commercial environments. The metal base and polished chrome parts make it a great-looking citrus press too. 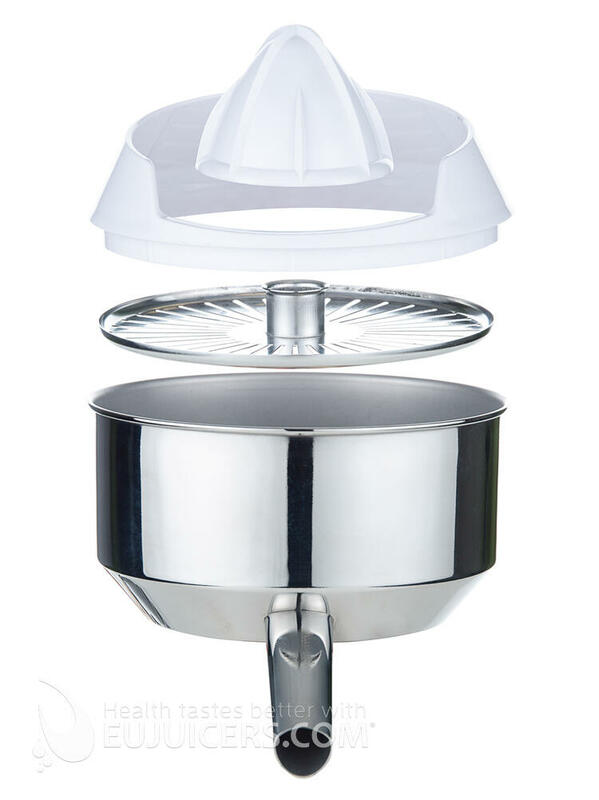 The Omega Citrus Press is a great choice if you want the best quality-to-price ratio in a commercial citrus press.